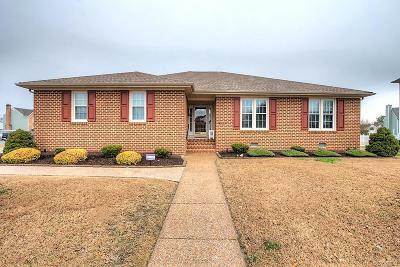 Check out this prestine, move-in ready, brick & vinyl rancher with side loader garage in one of Colonial Heights most prestigious areas, Dunlop. This special home has dimensional shingle roof, double-hung vinyl windows, upgraded ductwork, new water heater & newer Heat pump. As you enter the front door you are welcomed in by an extra wide entryway decorated with beautiful crown molding & ceramic tile floor. The formal dining room has extensive crown molding, chair rail and like new wood high grade Pergo. 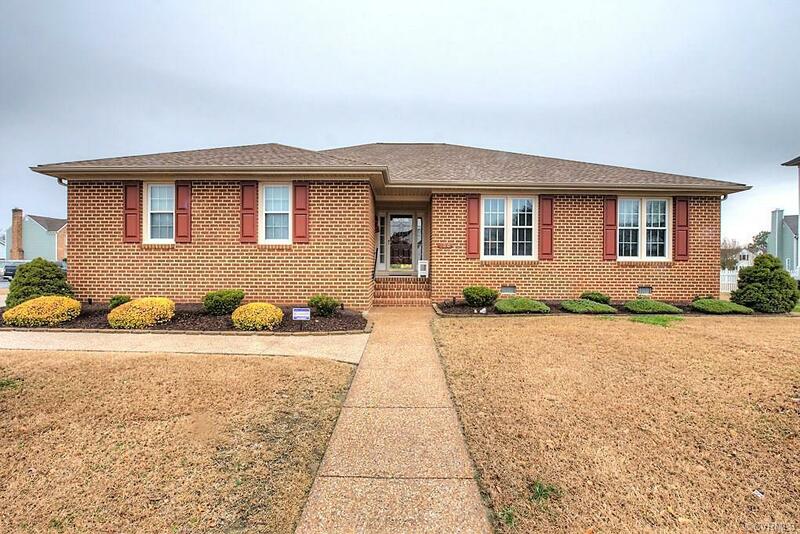 Feel relaxed in the spacious family room with vaulted ceiling, gorgeous rock fireplace, ceiling fan, recessed lighting and like new wood flooring. The huge kitchen has a tremendous amounts of cabinet & counter-top space, built in desk, convection oven with smooth cooktop, G/E Profile dishwasher (like new) newer microwave, refrigerator, tile back-splash, crown molding, 2-pantrys, large eat-in area & newer vinyl floor. Sep. Laundry room with large cabinet & washer/dryer that convey. Beautiful master bedroom with tray ceiling. Master bathroom has jetted tub, sep. shower, dual vanity & decorative ceramic tile floor. Fabulous Florida room. Extra large 2+ car garage. Vinyl Fence. Patio. Directions: Ellerslie To Longhorn. Follow Longhorn To Corner Of Longhorn And Honeycreek.